Last year we brought in a small shipment of Lothlorian gloves. They were such a huge hit that this year we added hats and socks, too. Available in several adult and children’s sizes, these things are the epitome of coziness. 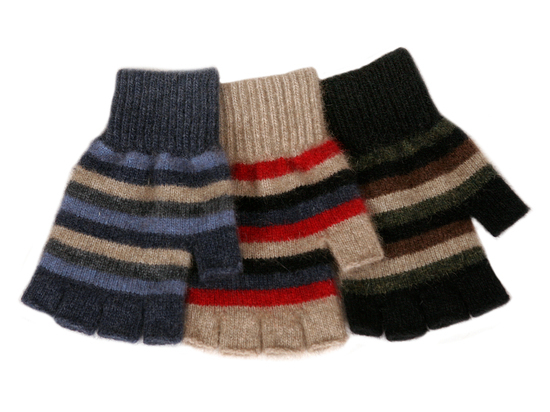 With a fibre content of 40% New Zealand brushtail possum, 50% merino wool and 10% nylon, they are crazy warm, super soft, pill-resistant and they don’t shed! Find all the Lothlorian products in our store HERE. Today’s inspiration is a project that brings in just the right amount of glitz and glitter for the holiday season. 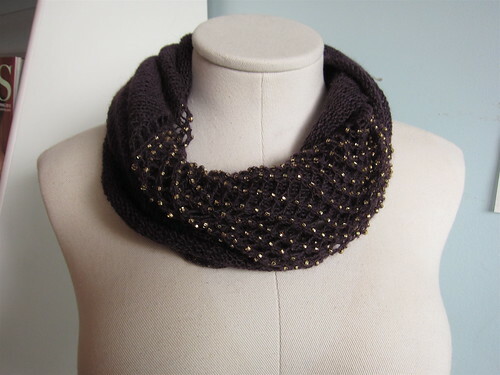 Sachiko Uemura’s Jeweled Cowl is worked in your favourite laceweight yarn on 5mm needles, so it goes pretty quick. Either pick a subtle or contrasting bead for two different looks. 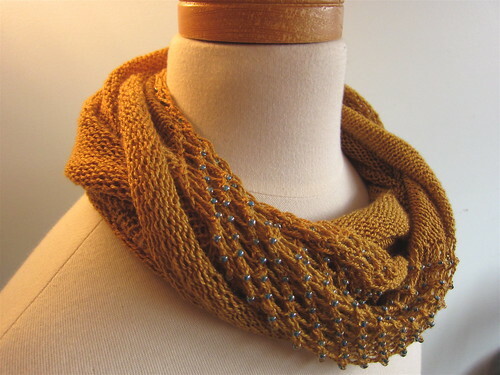 This is the only pattern that I have knit three times (for three different people). 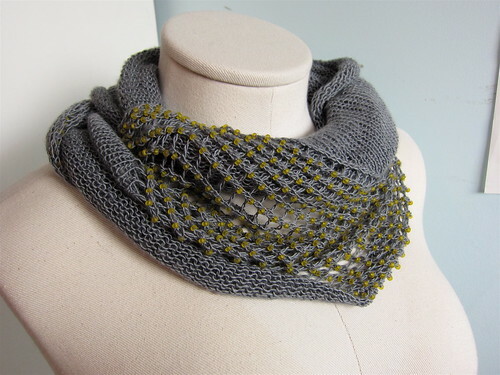 I’ve used Sweet Georgia MerinoSilk Lace, Rowan Fine Lace, and Zitron Filisilk. The possibilities are endless! (and glamorous). This entry was posted on Monday, December 3rd, 2012 at 9:00 am	and is filed under Advent. You can follow any responses to this entry through the RSS 2.0 feed. Both comments and pings are currently closed.